One of the most popular and the best-selling dermal fillers Ageless Aesthetics uses is Restylane®. The Restylane lip filler and dermal filler was approved by the FDA in 2003 and is used for the treatment of wrinkles. Restylane® is also made of hylauronic acid, which is a natural substance found in the body. Injections by Dr Umerah are very effective at treating deep wrinkles that are resistant to other procedures such as facials, chemical peels or microdermabrasion. It is also used a a lip filler. Restylane® is the only hyaluronic acid gel filler that is approved to last 18 months. 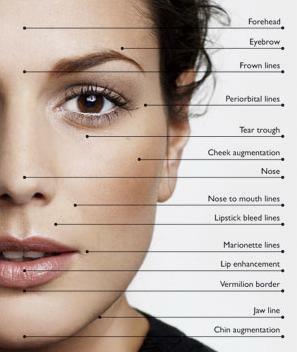 However, many patients benefit from touch-up treatments every four to nine months. We are also very excited to announce the arrival of Restylane Silk! Its the newest FDA approved treatment for lips and lines. It gives a subtle, smooth and natural looking effect. 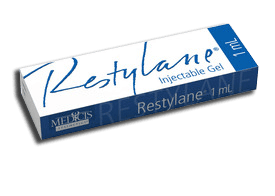 Restylane Silk is best used for lip enhancement and to correct lines around the mouth. Have you noticed your lipstick featuring? Or maybe lines directly around the lips? This dermal filler is perfect for treating those. Its also great for treating the nasolabial folds (Or marionette lines) that we often see becoming more pronounced as we age.